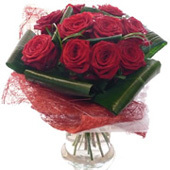 Send gifts for St Valentines with discounts, same day delivery. 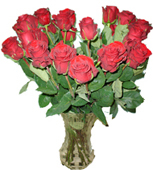 Here you may shop for St Valentines giifts and gifts basket arranged with festive fabrics, ribbons,heart shaped accessories. 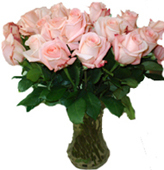 By ordering gifts for St Valentines with ASAP florists you may check the delivery status online with your e-mail and password. We accept main credit cards (visa, master etc) - security of your transactions is guaranteed. 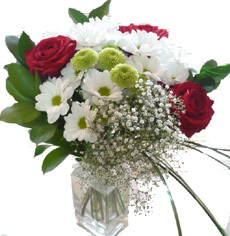 Nice bouquet with green and yellow chrysanthemums, white roses, exotic greenery in a natural wrapping.